Assimilation describes the process of social, cultural, and political integration of a minority into a dominant culture and society. Immigrant assimilation is one of the most common forms of assimilation and is a very complex process. Social scientists rely on four primary benchmarks to assess immigrant assimilation: socioeconomic status, geographic distribution, second language attainment, and intermarriage. Socioeconomic status is defined by educational attainment, occupation, and income. Spatial concentration is defined by geography or residential patterns. Language attainment refers to the ability to speak English and the loss of the individual’s mother tongue. Intermarriage involves marriage across racial, ethnic, or, occasionally, generational lines. Segmented assimilation states that there are three main paths of assimilation for second generation immigrants: some assimilate smoothly, others experience downward assimilation, and others experience rapid economic success while preserving the values of their immigrant community. Intermarriage involves marriage across racial, ethnic, or, occasionally, generational lines. Socioeconomic Status – One’s social position as determined by income, wealth, occupational prestige, and educational attainment. Spatial Concentration – A measure of how densely particular ethnic groups are situated in a geographic location. Intermarriage – a marriage between people belonging to different groups, ethnic, religious or otherwise. Assimilation describes the process by which a minority integrates socially, culturally, and/or politically into a larger, dominant culture and society. The term assimilation is often used in reference to immigrants and ethnic groups settling in a new land. Immigrants acquire new customs and attitudes through contact and communication with a new society, while they also introduce some of their own cultural traits to that society. Assimilation usually involves a gradual change of varying degree. 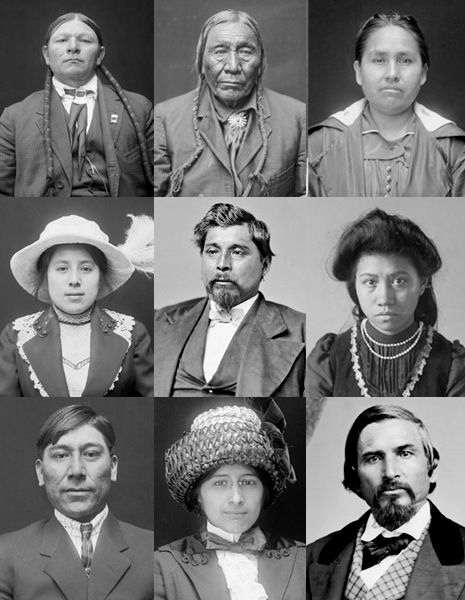 Full assimilation occurs when new members of a society become indistinguishable from native members. Any group (such as a state, immigrant population, or ethnicity) may choose to adopt a different culture for a variety of reasons such as political relevance or perceived advantage. However, a group may also be forced or feel compelled to do so as a result of imperialistic conquest, immigration, or drastic changes in population. Socioeconomic status is defined by educational attainment, occupation, and income. By measuring socioeconomic status, researchers seek to determine whether immigrants eventually catch up to native-born people in matters of capital. Spatial concentration is defined by geography or residential patterns. The spatial residential model states that increasing socioeconomic attainment, longer residence in the U.S, and higher generational status lead to decreasing residential concentration for a particular ethnic group. Language attainment is defined as the ability to speak English and the loss of the individual’s mother tongue. The three-generation model of language assimilation states that the first generation makes some progress in language assimilation but retains primary fluency in their native tongue, while the second generation is bilingual and the third generation speaks only English. Intermarriage refers to marriage across racial, ethnic, or, occasionally, generational lines. High rates of intermarriage are considered to be an indication of social integration, as they suggest intimate and profound relations between people of different groups. Intermarriage reduces the ability of families to pass on to their children a consistent ethnic culture and thus is an agent of assimilation. Other than marriage, citizenship is one of the most significant factors in assimilation. Thus, immigration debates focus not only on the number of immigrants that should be admitted into a country and the processes of incorporation but also on how citizenship should be extended and to whom. Proponents of immigration often argue that new residents will help to build and enrich American democracy, while opponents counter that the identity and legitimacy of the nation may be challenged and perhaps even threatened by immigrants. Questions of citizenship in relation to illegal immigration is a particularly controversial issue and a common source of political tension. The majority of immigrants have tended to settle in traditional gateway states such as Florida, New York, California, Illinois, Texas, and Massachusetts, where immigrants find large existing populations of foreign-born people. Recently, however, immigrants have increasingly been settling in areas outside these gateway states. Sociologists Mary Waters and Tomas R. Jimenez have suggested that these geographical shifts may change the way researchers assess immigrant assimilation, as immigrants settling in new areas may encounter different experiences than immigrants settling in more traditional gateways. Specifically, Waters and Jimenez identify three distinguishing characteristics in more recent, less traditional, immigration patterns: less established social hierarchies, smaller immigrant population size, and different institutional arrangements. The theory of segmented assimilation for second generation immigrants is highly researched in the sociological arena. Segmented assimilation, researched by Min Zhou and Alejandro Portes, focuses on the notion that people take different paths in how they adapt to life in the United States. This theory states that there are three main different paths of assimilation for second generation immigrants. Some immigrants assimilate smoothly into the white middle class of America, others experience downward assimilation, and others experience rapid economic success while preserving the values of their immigrant community. This theory also includes the concept of modes of incorporation, which are the external factors within the host community that affect assimilation. These factors are created by the underlying policies of the government, the strength of prejudice in the society, and the makeup of coethnic communities within the society. These modes of incorporation affect how a child will assimilate into U.S. society, and determine how vulnerable the child will be towards downward assimilation. Factors that enhance such vulnerability include racial discrimination, location, and changes in the economy that have made it harder for intergenerational mobility. In addition, differing modes of incorporation make available certain resources that second generation immigrants can use to overcome challenges to the process of assimilation. If the child belongs to a group that has been exempt from the prejudice experienced by most immigrants, such as European immigrants, they will experience a smoother process of assimilation. A second generation immigrant can also make use of established networks in the coethnic community. These networks provide these children with additional resources beyond those offered by the government, such as gateways into well-paying jobs in businesses established by the ethnic community. Children of middle-class immigrants have a greater likelihood of moving up the social ladder and joining American mainstream society than children of lower class immigrants, as they have access to both the resources provided by their parents and to the educational opportunities afforded to the middle class in the U.S.